Bless the Lord, 9:31 came early tonight! I am so tired, but Hope doesn’t feel all that great so she actually went to bed before bedtime AND with a snow day tomorrow. Thank you Jesus. I’ve just come off of a long annual conference with long days and late nights. This adoption journey was full of new experiences this week with Grammy’s 5 day visit. New experiences bring new lessons. So here’s my weekly recap. Wishing for someone else’s reality check and watching someone else’s reality check are two different things. Hope lost her shiz with Grammy this weekend…*came*completely*unhinged. And Grammy wasn’t ready; not even a little bit. Now I admit that I kind of wanted her to have a taste of what my life is like so that she could get a much needed reality check and get off my case about my decision making and what she thought I should be doing. But last night, watching Grammy watch me navigate an epic, raging, meltdown full of Hope’s drama with tears in her eyes was actually worse than the meltdown. I’ve kind of gotten used to the meltdowns, especially when I know what triggered it. In this case, Hope was pissed that I was away from her and unavailable to her when she wanted me because of work. I realized after Grammy left how upset she really was: She had organized my pantry. She knows I hate her going through my stuff, but she just couldn’t help herself. When I opened the pantry, I started to cry because I realized my momma must’ve been so upset. Hope couldn’t understand why I was sobbing. Validation is important. Can we touch and agree on this? Amen! While watching Grammy stumble through the last few days was painful, it also served as a much needed bit of validation for me and my Hope, as I allude to in earlier posts. This older child adoption situation ain’t Pat the Bunny. It is not for the faint of heart. Those of us who are called to this path are like Scandal Gladiators—this ish is work. Understanding the effects of childhood trauma and withstanding the emotional sandstorm that is left is its wake is a reality that people will have a hard time wrapping their heads around. I hated seeing frazzled Grammy, but now she knows why I kept us cloistered for a while, soaking up some privacy while the crazy that is my life was allowed to prance naked around the house unfettered. Don’t nobody want to see that! #driverrollupthepartitionplease But now she knows, and she gets it and touches and agrees. Hope is too smart for her own good. She is a mess. But that’s ok, I’m just as crafty. I have to bring my A game with her every single day. There are times when I catch her pushing me, and after I rear back with my response she almost smiles. I don’t like engaging some of her negative behavior and I’m getting better at knowing when to be strategic about it. Hope always comes back. It never ceases to amaze me that after one of Hope’s meltdowns, the thing she wants, the things she craves is time with me. Sometimes my feelings are hurt, and I really want to withhold the one thing she wants and needs. Sometimes I don’t have much to offer so I just can manage to sit quietly with her while she does all the talking or babbling or whatever. Sometimes I feel more resilient and can bounce back and embrace her right away again. I admit that I want to be selfish and take time to just lick my wounds or cry or just lay down and watch the ceiling fan. Sometimes the need to be self-protecting is essential to just allow me some space to recover, and I let her know I need a longer time out. And still she comes back. She waits for me. She wants me and needs me. Knowing this, seeing this push/pull pattern encourages me that she won’t fight me forever, that one day she won’t have to come back because she won’t push me away. So that’s it. I’m tired. Defense is in 11 days and I still have a bunch of stuff to do. Tomorrow is another snowday, which really annoys me. It was a day off and I hoped to rise only to put Hope on the bus and then enjoy a ABM day with little responsibility for a few hours. Oh well. At least I can sleep late. 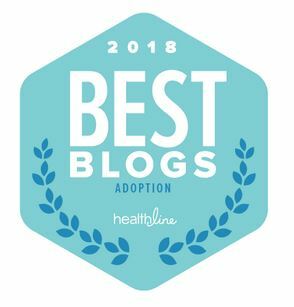 This entry was posted on Sunday, March 16th, 2014 at 10:25 pm	and tagged with adoption, Adoption Blogs, Adoption Post Placement Challenges, African American Adoption, Post-Placement Life, Sandwich Generation and posted in Lessons Learned, Post Placement. You can follow any responses to this entry through the RSS 2.0 feed. I cracked up with the breaker comment. I’ve found in dealing with my younger patients that sometimes they understand that rawness better than the flowery, sugar coated stuff. 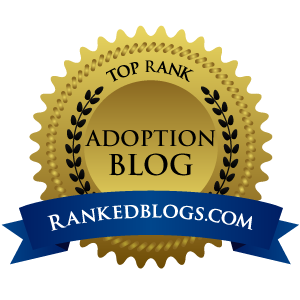 If you can believe it, I went into foster care process with a teen in mind that I had saw online and had made up in my mind that I would adopt. *insert my own confused face* I thank the Lord God Almighty for directing me elsewhere. He knew that this was not the time or journey for me to take. I love that there’s people like you who travel that road. Ish just got real for Grammy. But that’s okay. Now that you are touching and agreeing, there are more hands to hold you up when you need that support.